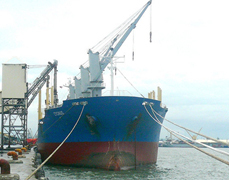 MPM is a streaming qualified provider of ship management services to a large fleet encompassing most ship types. It is an international company with offices located in Monaco, and partners around Europe and Asia. The seagoing staff are recruited through a network of recruitment offices worldwide. a broad range of maritime services including crewing, financial, offshore, insurance, consulting, commercial and marine services are provided by the Company.